Support is growing in the Lone Star State to allow motorcyclists to make use of the riding technique known as lane splitting. Two separate bills have been introduced in the Texas legislature recently, one in the state's Senate and one in the state's House of Representatives. Both would allow lane splitting at slow speeds but differ on the details. Lane splitting, also known as "lane sharing" or "filtering," is the act of riding between lanes of cars. When done effectively and intelligently, the riding technique has been shown to help decrease traffic congestion, as well as a rider's risk of being the victim of a rear-end collision. The practice is common in most countries around the world and is seen as one of the major benefits of motorcycling in the traffic-choked cities of Europe and Asia. In the United States, however, the practice is technically only legal in the state of California, though it is frequently used by riders in the East Coast. Texas Rep. Sergio Muñoz Jr. (D-Palmview) has introduced HB 813, which would allow lane splitting in situations where traffic is moving in the same direction, at 20 mph or slower, and when the motorcyclist is riding no more than 5 mph faster than surrounding traffic. Additionally, his bill would not allow lane splitting in school zones and would require that both rider and passenger wear a helmet. 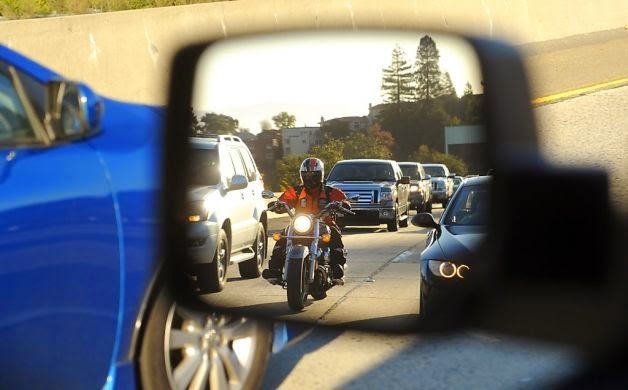 Meanwhile, Texas Sen. Kirk Watson (D-Austin) has introduced SB 442, which would restrict lane splitting to limited-access or controlled-access highways. It would also only apply when traffic is moving 20 mph or slower and prohibit a rider from riding more than 5 mph faster than surrounding traffic, but would not require the rider to wear a helmet. The American Motorcyclist Association has already expressed its support for both bills, with the caveat of saying it does not support the helmet requirement in Muñoz's bill. "A motorcycle helmet is an important piece of safety gear that the AMA strongly encourages riders to wear, but we believe just as strongly that the choice should be left to adult motorcyclists," said Wayne Allard, AMA vice president of government relations. Lane splitting helps to reduce and improve the flow of traffic, helps to reduce the risk of motorcycle engines overheating and shutting down, has been shown in studies to reduce the risk of a rider being the victim of a rear-end collision, and has a positive environmental effect. To find out more about lane splitting efforts in Texas, visit the Texas Riders for Lane Splitting Facebook page.